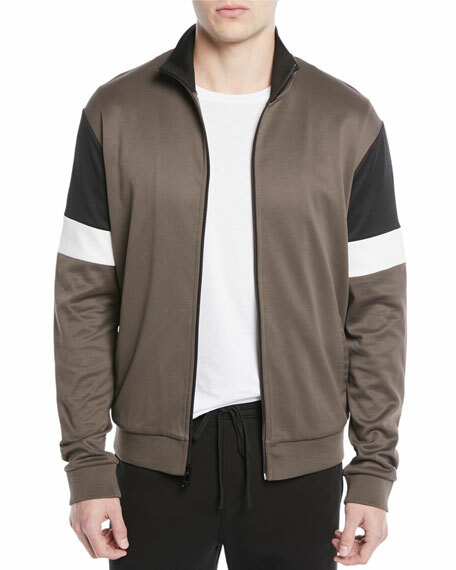 Vince track jacket in colorblock knit. For in-store inquiries, use sku #2600614. 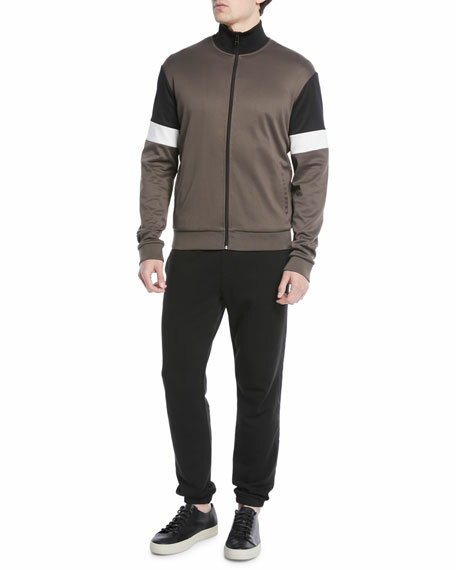 Ovadia & Sons velour track jacket with seam detailing. Ribbed collar, hem, and cuffs. Baseball collar; zip front. 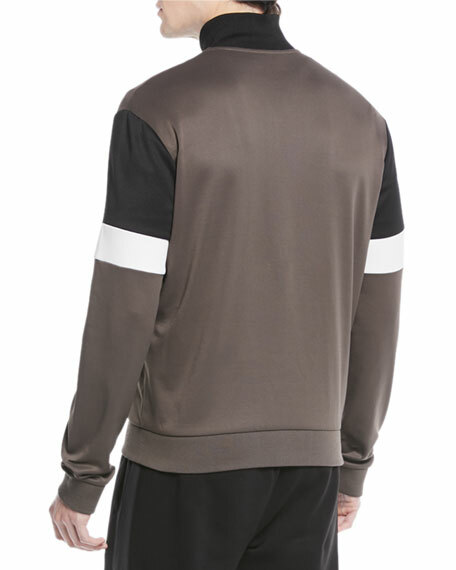 Long sleeves with sport stripes. Logo on chest patch. Side slip pockets. Classic fit. Polyester. Imported.